Kielitieteellisten aineiden yhteisten kenttämatkojen tarkoituksena on tutustua vähemmistökansoihin sekä keksiä keinoja, miten paikallisia kieliä voisi elvyttää. Last week, Russian Language and Literature hosted a group of five professors and fifteen students from the National Research University – Higher School of Economics (HSE), Moscow. The Faculty of Philology in HSE is one of the leading centers of theoretical and applied linguistics in Russia, comprising, among other things, three research laboratories. The purpose of the visit was a three-day seminar on lexical typology. Special attention was given to methodological issues such as using corpora and questionnaires in data collection and developing semantic frames and maps for the analysis and interpretation of cross-linguistic observations. Researchers in HSE have created inventories of specific frames for a number of semantic fields – from temperature and pain to various types of motion – and applied the methodology for a wide range of languages. 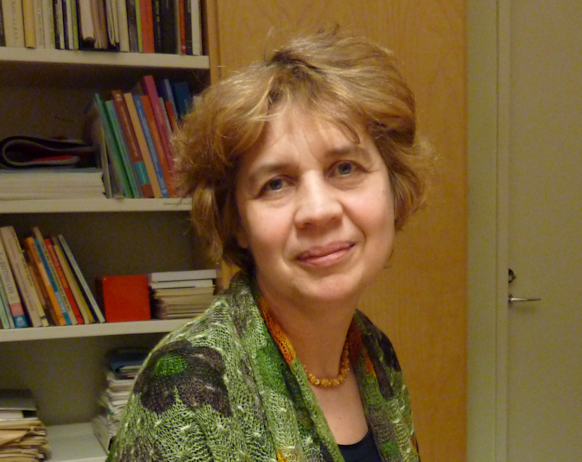 According to professor Ekaterina Rakhilina, lexical typology can also be studied from the perspective of non-native speakers. For example, when learning a second language, your first language may affect the word choices in the second language. A similar effect is also observed with heritage language speakers, that is, people who live in an environment where their parents’ language is not the dominant language (e.g. Chinese speakers in the United States). In the recent past, there has been a lot of cooperation between individual researchers from the University of Helsinki and HSE such as visits, meetings in conferences, and jointly prepared publications. “The diversity of common research interests allows us to cooperate in many different fields of research, from Russian grammar to sociolinguistics,” says professor Rakhilina.